Listen.It is a choral song that rises from the fields, it begins at Sorbara, travels to Poggio Rusco and arrives at Valsamoggia. 1.200 grape growers that have gathered into a mighty, merry concert. Each of us have brought our own instrument: a nectar we obtained from the energy of the land and the knowledge of ancient traditions. Each of us with our own timbre, rhythm and colour. What makes us contemporary is the passion we have for our work and the joy of touching your heart through a glass. 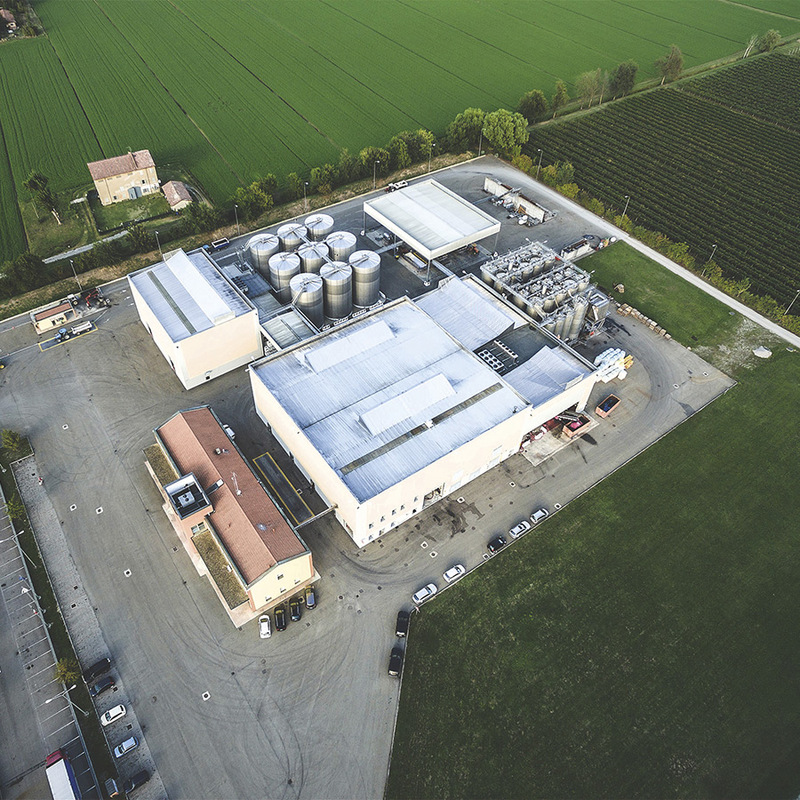 The Winemaking cooperative of Carpi and Sorbara counts 1,200 member manufacturers and a production capacity of about 450,000 wine hectoliters per year. 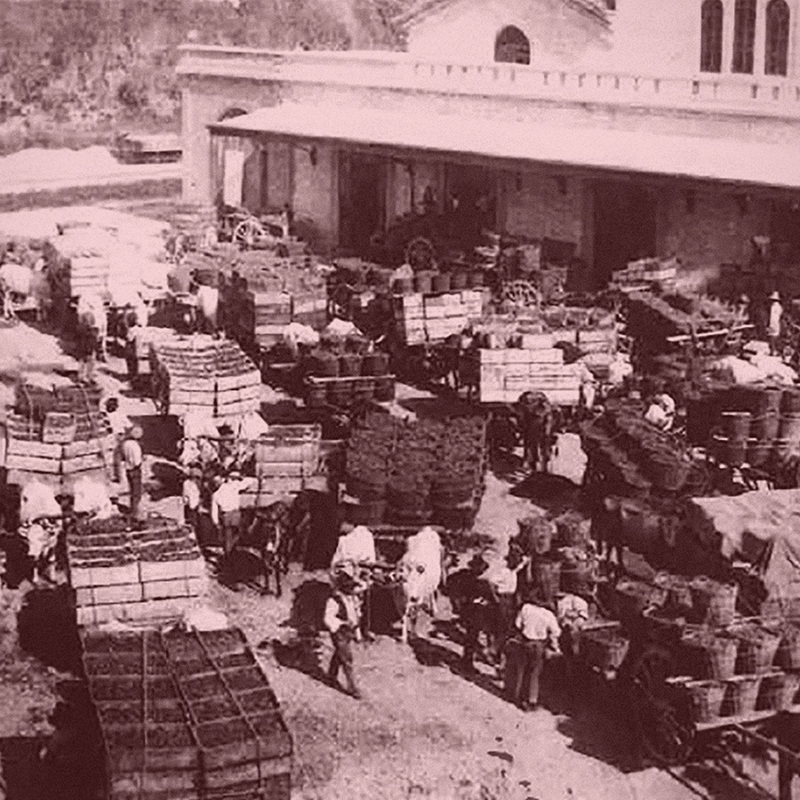 Currently the cooperative owns 6 factories, among them, 5 are dedicated to grape pressing and 1 to bottling activities. They are located in Carpi (Mo), Concordia (Mo), Poggio Rusco (Mn), Rio Saliceto (Re)Sorbara (Mo) and Bazzano (BO). 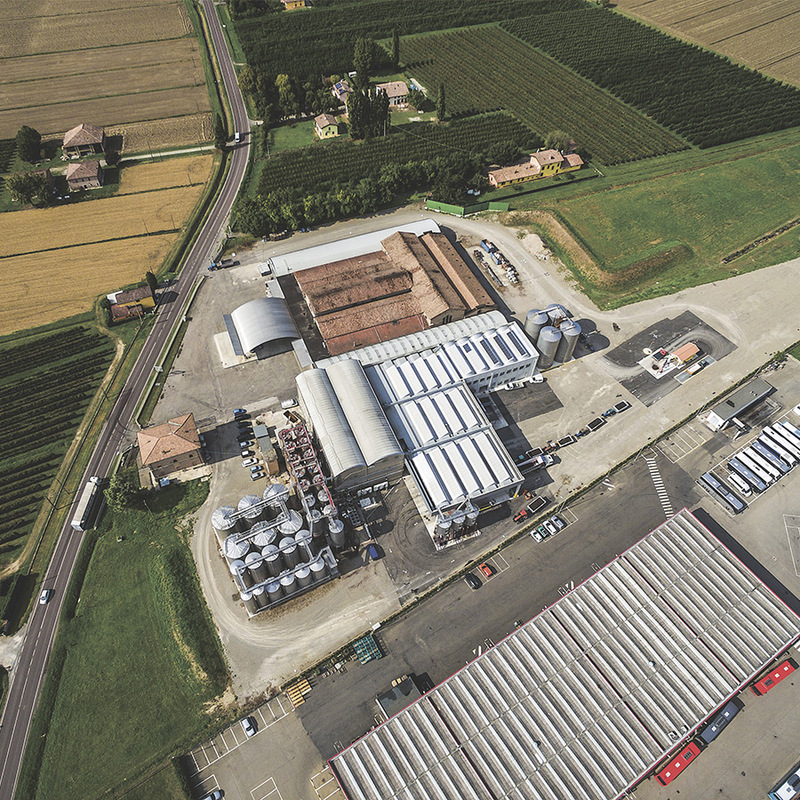 6 establishments of which 5 pressing plants 1 bottling plant: Carpi (Mo), Concordia (Mo), Poggio Rusco (Mn), Rio Saliceto (Re), Sorbara (Mo), Bazzano (BO). Cantina di Sorbara is the commercial brand for the bottles on sale, produced and bottled in our plant of Sorbara. In the year 2014 approximately 2.350.000 bottles were produced, divided into different labels and destined to a large-scale retail, HORECA, direct selling. The export share has reached the 20% of our turnover in the following countries (in order of importance): Mexico, Japan, the U.S. and China. The sale of bulk wine instead is the ace in the hole of our cooperative, while the export quota, which focuses on Spain, reaches 10% of our turnover. A tribute, a thank you to him: the bishop of cooperation, the inventor of wine cooperatives. Enlightened and energetic Modenese of Jewish origin, Gino Friedmann was, from the beginning of the twentieth century on, pioneer of agronomic solutions and innovative entrepreneur who infected the whole social fabric of his province, making possible the association of cooperatives founded on mutualistic and liberal principles. In short, if it had not been him, we would not be there now. Only the best can bear his name. 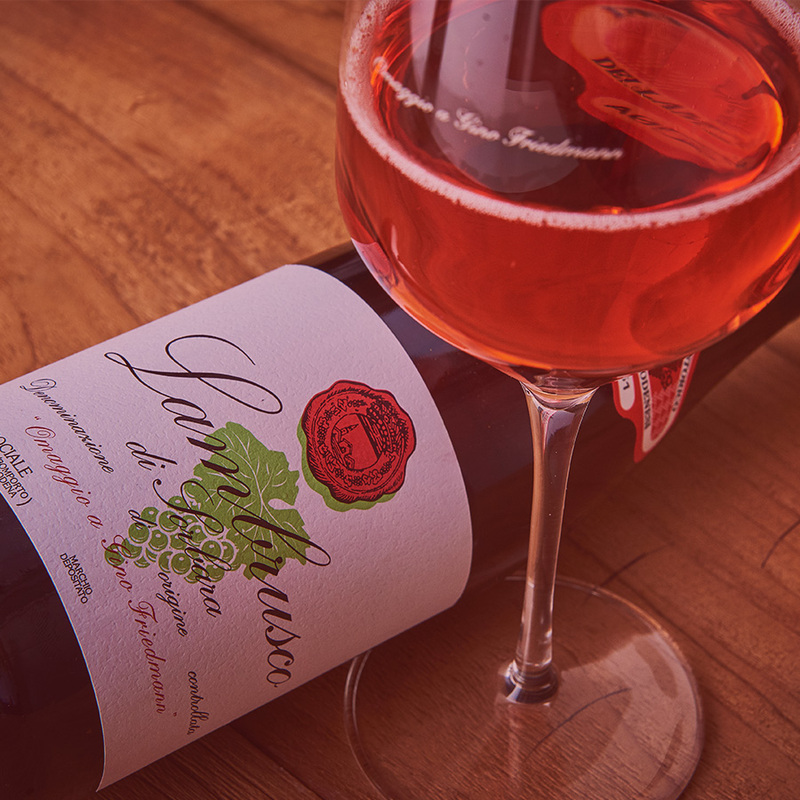 That’s why we dedicate a Lambrusco in purity of only grapes of Lambrusco of Sorbara with scent of white fruit and flowers. With a lively, sapid and dry taste with a yeast base. With a rosy red colour, slightly drained and with a fine and persistent froth. A dry, direct wine, classic in style, of refined simplicity, for people who, like Gino, are sincere and true. True friend, at the table … and everywhere.